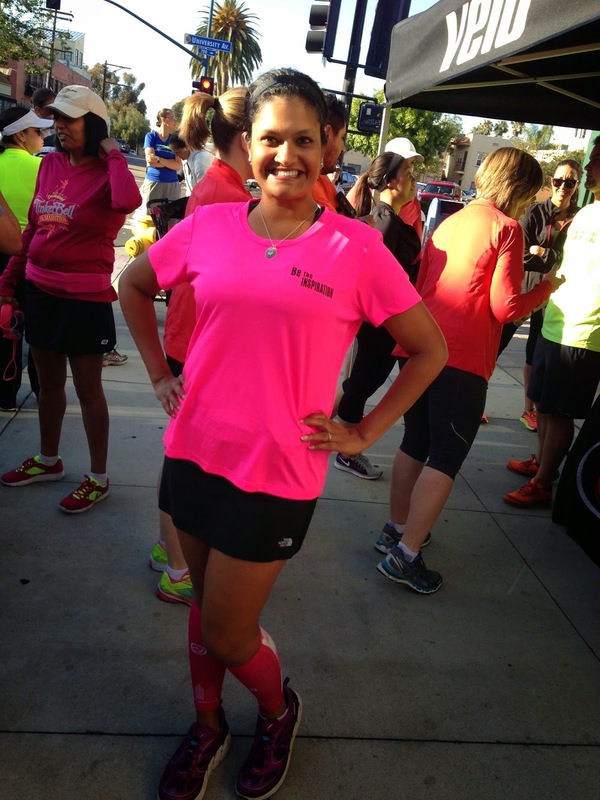 Running with SD Mom: How to Carry Your Gear and a brand new GIVEAWAY! Runs 3 miles or less, I just take my key and go. Runs 3-6 miles, I take my ID and key. If it is a race, I have to bring a credit card or cash. Runs 6 miles or more (over a 10K), I usually carry water in my Nathan Speed belt. Obviously, I have a solution for 3 miles or less and I love my Nathan but I didn't know what to do on those 3-6 mile runs. I couldn't keep it in my armband where I keep my phone because my ID fell out during the 4th of July race last year. Along came the Running Buddy as a perfect solution! The one on the left is the Mini Buddy and the one on the right is the regular. They come in a variety of colors including pink and a yellow bordered black one. I chose a black one of each to try. 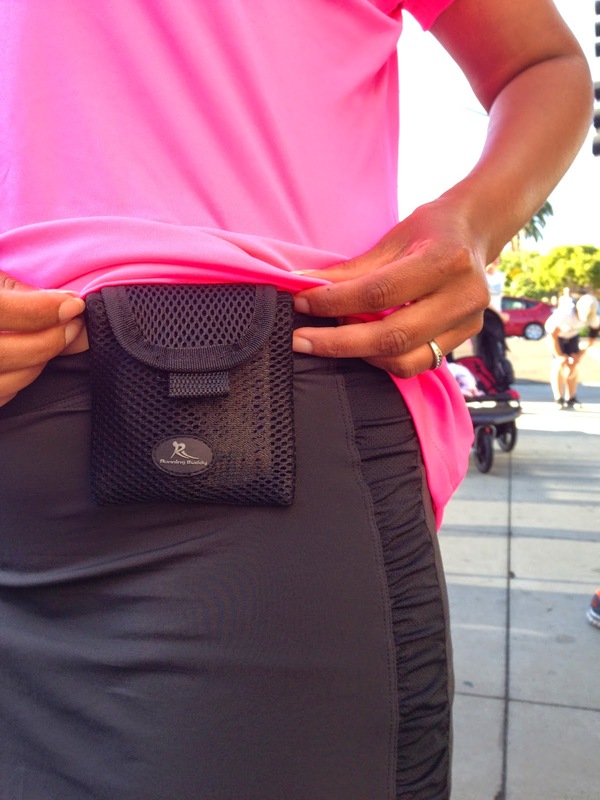 They attach by a magnet which means no annoying belts or bands around your waist. You can't see them under moderately fitted clothing. They have done over 2 years of research and found they have no effect on credit cards or cell phones. You can see the answers to these and other frequently asked questions here. They will also be on the Shark Tank's Lori Greiner's QVC show this summer! I have used the bigger one on a lunch time run in a tighter tank and you can see the outline of the Buddy underneath. Maybe I shouldn't wear tight tanks?! I also wore the Mini on the Bridge Run on Sunday. I much prefer the Mini for my purposes. I used it to store my credit card and ID and cash. It didn't get sweaty during the 3 mile pre-run nor the 4 mile Bridge run. It was perfect for this use. Next time, I run a 10K or less, I am bringing my Running Buddy! Now, The Running Buddy has generously offered to gift one of my readers their own Running Buddy, You choose - Original or Mini! In any color you want! You know the drill. Click thru the Rafflecopter widget below to win! 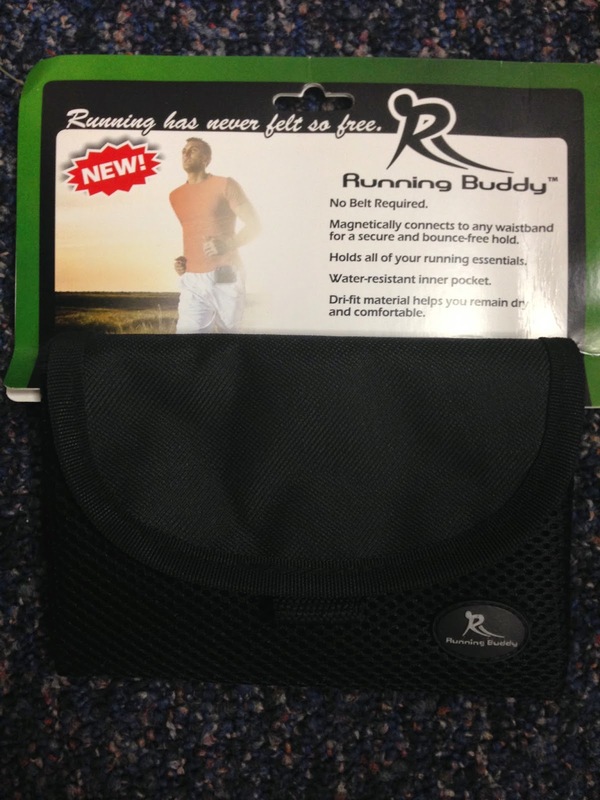 Prize will be shipped directly from The Running Buddy. How do you store your gear for races? Does it make a difference if you run 6 vs. a Half Marathon? Do you carry water during races? I've been trying to figure out the best way to carry gear with I'm not pushing a stroller! This seems perfect! I lost my ID and credit card during a 5K because I had just put them in a little pocket I had, this would have been perfect! I usually carry it in my hand or in my flip belt but this looks AMAZING! I have a great pair of past season Moving comfort shorts that have great side pockets, so I stuff those haha. Before that, I used to race in Race Ready Shorts. 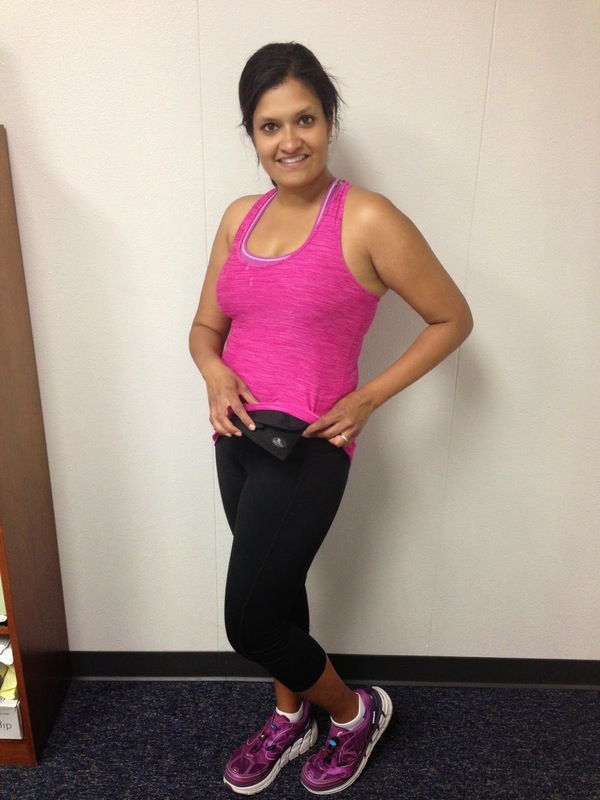 I took my Nathan running belt for my marathon, but I get really annoyed with the strap around my stomach! Those look like they could be nice. I have an armpocket, which is nice because it can hold my id, key and other very small items, but this looks good to be able to hold a little more for that middle range. The Running Buddy is great! They have a galaxy one! I put my car key in my running shorts pocket. Leave everything in trunk. I use a race belt with a pocket on it. I put my key and ID in there and then I know I won't lose it!!! I never feel safe putting my key in the little shorts pockets so I end up taking my handheld water bottle with zipper pouch for short runs even if I don't need water. Any long run requiring gels and water calls for my water belt. 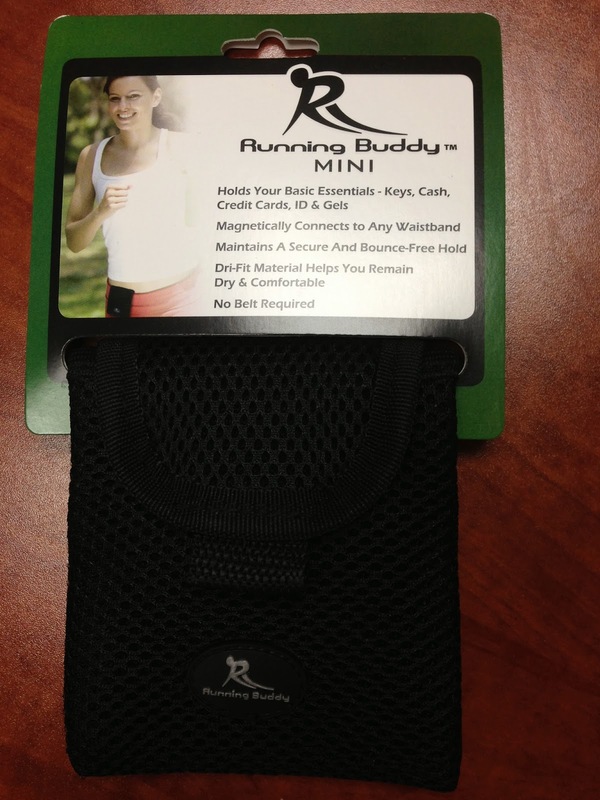 The Runny Buddy would be a great addition for my shorter runs!